As a student I often rely on granola bars and the sort to snack on in between lectures and seminars. When I went vegan, I couldn’t eat most of the bars I used to enjoy, due to ingredients like milk chocolate and honey. I went to Holland & Barrett in the hopes of finding some vegan friendly bars, and was not disappointed. 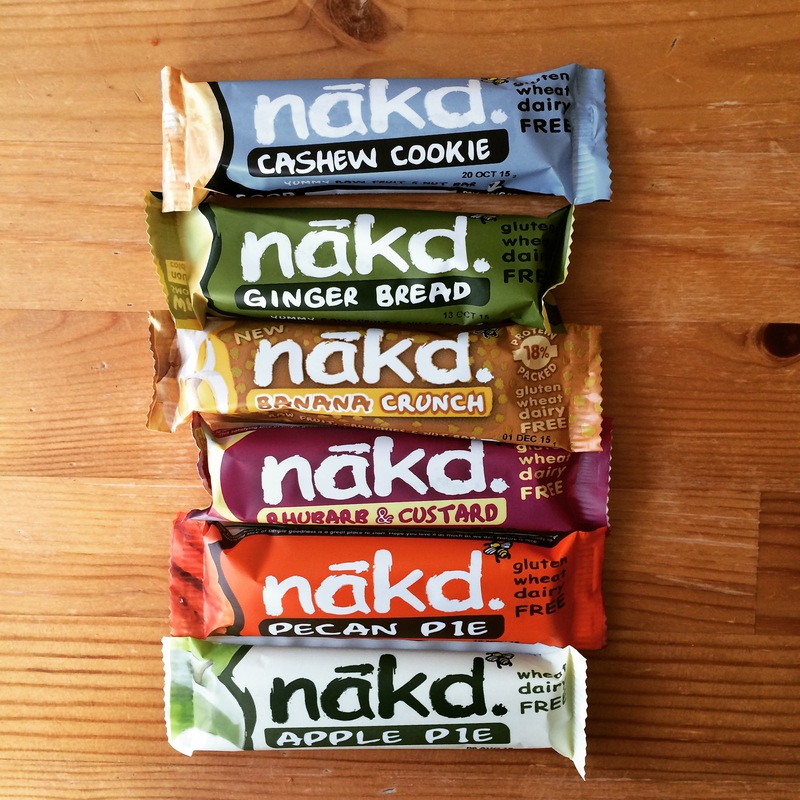 I was greeted by a big display of Nakd bars, in a variety of different flavours. I had seen people eat these bars before, but had never tried one myself. Not knowing which flavours to go for, I picked up the 6 flavours that seemed most appealing to me. 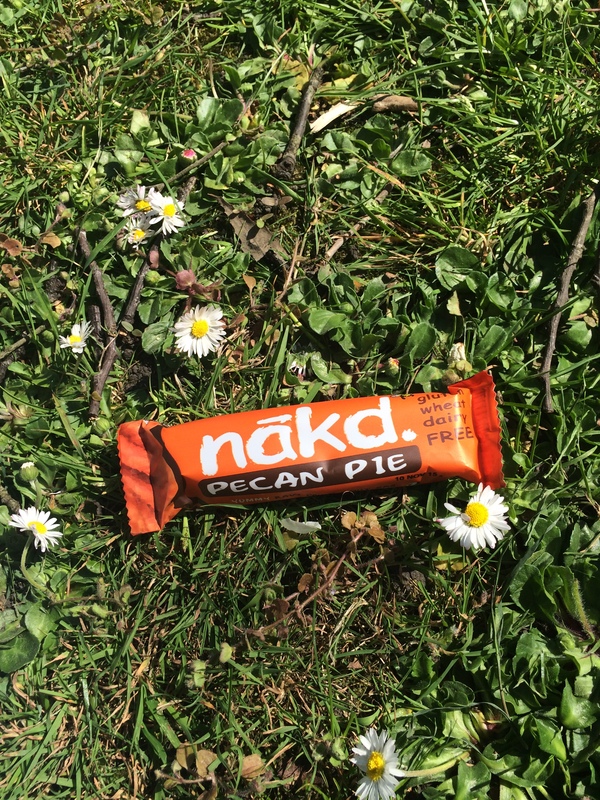 Cashew cookie: This was the first Nakd bar I tried, and it was a bit disappointing. There was an overwhelming flavour of dates, and while there were chunks of cashew nuts in the bar, their flavour didn’t really come through. This one is great for date-lovers, but for those who aren’t a big fan of the flavour (like me), I would give this one a skip. Ginger bread: AMAZING. I’m not lying that when I took a bite of this bar I instantly fell in love with it. I’m someone that loves spiced pastry, in particular ginger and cinnamon, and this bar has a strong spiced flavour. The likeliness to ginger bread is definitely there, and I really recommend this one. Rhubarb and custard: This bar is quite a fruity one, and the taste of the rhubarb definitely comes through. I wasn’t the biggest fan, mainly because the taste of rhubarb overshadowed any taste of custard, but it was still quite good. Banana crunch: I really liked this one. The taste of banana is very strong, which I loved, but if you’re not the biggest fan of banana, this one may not be for you. I also loved that this was a crunch bar; the rice crispies gave it a nice bite. Apple pie: This one was really good, mainly because (again) this bar was very spiced. You could also definitely taste the apple, which gave it a nice flavour, and there were plenty of nut pieces in it. Pecan pie: I really liked this one, mainly because of the strong taste of cinnamon, which is always good in my book. While I couldn’t really taste the pecan, there were nut pieces in the bar. This one is great for anyone with a strong sweet tooth.